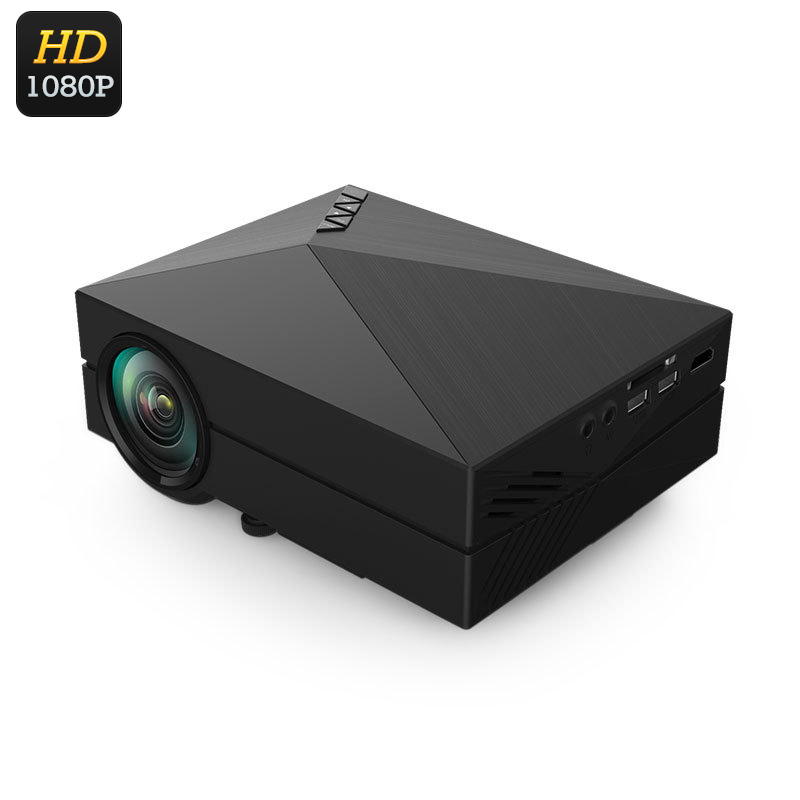 Successfully Added Portable Mini LCD Projector - 80 Lumen, 1000:1 Contrast, Supports 1080p, 130 Inch Image, HDMI, SD Card to your Shopping Cart. This 80 lumen projector uses LCD (Liquid Crystal Display) technology to produce a rich color saturation with outstanding image sharpness making it a great addition to any family room for movies games and entertainment. These light weight compact LCD projectors are geared for use in schools, businesses or homes and produce a crisp sharp image when displaying data or media. With a1.4:1 throw ratio and projecting an image of 34 to 130 inches you can enjoy larger than life viewing in great quality. The projector displays in 800x480 resolutions at has support for full HD video input which can be played via the HDMI input or from a USB memory stick or SD card. Alternatively you can use the VGA or AV video inputs and even hook up speakers to the 3.5mm audio output jack. Consuming just 50 Watts of power this energy efficient projector won't run up your electric bill and the long life LED light source has a life span of around 30000 hours brining years of usage without the need to replace any expensive lamps or bulbs. This projector also has a 5 volt USB out so you can keep your phone charged up while playing movies. Coming with an IR remote you can control the projector from afar so you needn't get up to interact with the projector, ideal when its mounted on the ceiling or your at the back of the room.